for tweens, teens, and anyone whoever was one. Whenever his parents went out on missions for the Space Survey Corps, Brandon Webb was left behind on Luna, left to dream of journeying between the stars, meeting aliens, defeating villains, saving the world. Now it's his turn for adventure, permitted at last by the captain, his father, to join a year-long trip to a failing colonial planet on an emergency resupply run. Or so he's told. Brandon's former dreams could turn to nightmares when the starship is sabotaged, the alien holds secrets about his past, the villain is on the right side, and the world isn’t ready to be saved. "Coley's sci-fi world is also fantastically crafted, with imaginative technology and a fascinating futuristic society. Readers will find themselves at home in a world that feels like it could exist in the not-too-distant future. 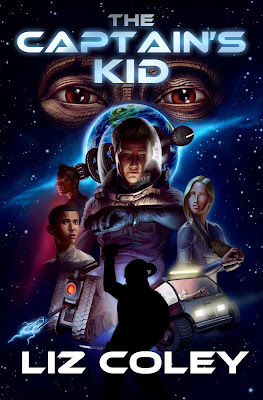 With a great protagonist, thrilling plot, and captivating world, The Captain's Kid is a perfect book for sci-fi fans." "Fun and wondrous, Liz Coley's The Captain's Kid will give you a hero to root for a world you'll want to inhabit. 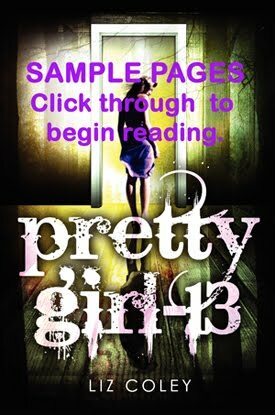 I couldn't turn the pages quickly enough in this fast-paced adventure." "I loved this book—and I am not a twelve year old boy so, to me, that says a lot. Its enticing combination between dry-humored comedy, mystery, thriller and SciFi was wonderful and kept me flipping pages. . . .I loved embarking on a mission that seemed both sad and dangerous. By the mid-way point, I didn't exactly know who (if anyone) to trust and I found that really exciting. This is a wonderful read for kids, even adult kids, of all ages."